Fernando Gutiérrez was born in London (1963) to Spanish parents, he studied graphic design at the London College of Printing, graduating with Honours in 1986. He worked with CDT Design (London), Summa (Barcelona) and, in 1993, joined forces with Pablo Martin, forming the company that would eventually become Grafica; a highly regarded Spanish company that has won many awards. In 2000 Fernando joined Pentagram as a partner in the London office. In 2006 he left Pentagram to set up ‘Studio Fernando Gutiérrez’ based in Hampstead specialising in identity, packaging, exhibition, signage and editiorial design. His projects include the design and art direction of magazine supplements for the El Pais – Spanish daily newspaper, Matador – a leading literary and photography magazine and the global community magazine Colors published by Benetton. 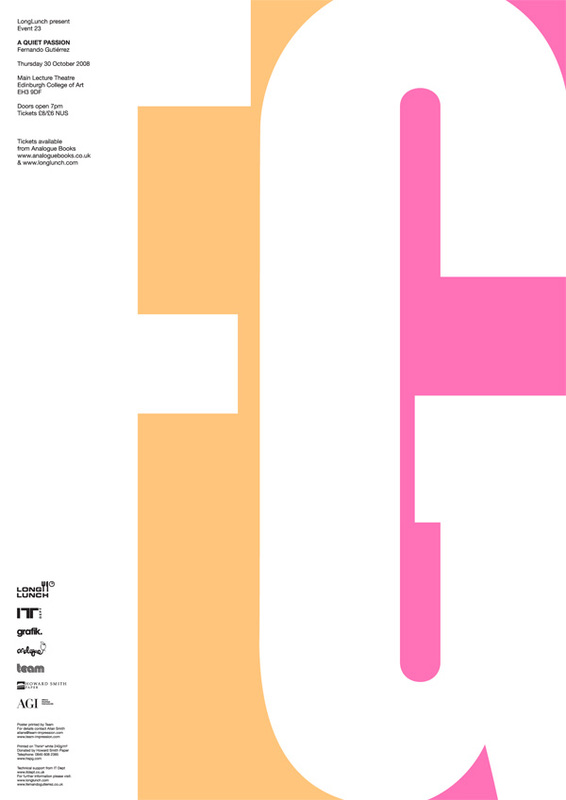 Recent projects for the ‘Studio Fernando Gutiérrez’ include the new identity and design implementation for the Prado Museum, Turner Libros – a publisher based in Madrid and Mexico City, LABoral Centro de Arte – creative industries in Gijon, The Goya Foundation in Aragon and Teatro Romano de Cartagena – Roman amphitheatre in Cartagena, as well as a number of Spanish wineries such as Compania de Vinos Telmo Rodriguez, Losada vinos de finca, Valdesil and Duraton. The studio has also been involved in book design promoting Foster + Partners projects, and ElBulli, exhibition catalogue design for international artists such as Thomas Struth, Ai Wei Wei and many more catalogue design and exhibition graphics at Tate Modern, Tate Britain, Design Museum, Helly Nahmad Gallery in London and The Garage – Centre for Contemporary Culture Moscow. Fernando is a visiting lecturer to Eina School of art & design in Barcelona, a member of Alliance Graphique Internationale (AGI) and a regular on judging panels for international design and photography awards.